Proposed new post-Brexit immigration rules will “decimate” factory workforces, the UK’s main manufacturing association has warned. Plans to introduce a £30,000 minimum salary threshold would have “disastrous impacts”, said Make UK. Some 88% of skilled workers would not be receiving that level of pay, said the organisation. Currently skilled roles such as engineering technicians are largely filled by EU nationals. In December the government published a White Paper on immigration proposing a £30,000 salary requirement, which would apply to skilled migrants seeking five-year visas. Make UK said the move would cause shortages of welders, robotics workers, toolmakers and maintenance technicians. “Few of these roles initially pay more than the £30,000 necessary under the new rules to qualify to work in the UK,” said the organisation, formerly known as the EEF. Its director of employment and skills policy, Tim Thomas, urged the government to “urgently reconsider” the salary threshold plans. He said that as a minimum, it should “reduce the rate and offer a phased approach to any salary threshold introduction”. This would “allow businesses to adapt and train a different cohort of employees”, he said. Plans to phase in the new system from 2021. 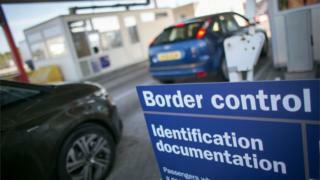 Make UK also objected to the rule change for lower-skilled migrants, saying it would hit EU jobseekers looking to fill roles such as plant and machine operators.